Good morning. It's Thursday, Feb. 7. • Residents at the southern border shrug at Trump's warnings. • A soaked California faces another burst of rain and snow. • And natural wonders of the north state's Klamath Mountains. Immigration rights supporters watched President Trump's State of the Union on Tuesday in Los Angeles. PG&E unveiled a safety proposal that calls for blacking out larger swaths of its service area during wildfire conditions — leaving even Californians outside risky areas without power. A consumer advocate said customers would be paying the price for the utility's failure to properly trim trees. "We're paying them to keep the power on," he said. "Now we're paying them to shut us off. There's an irony in that." 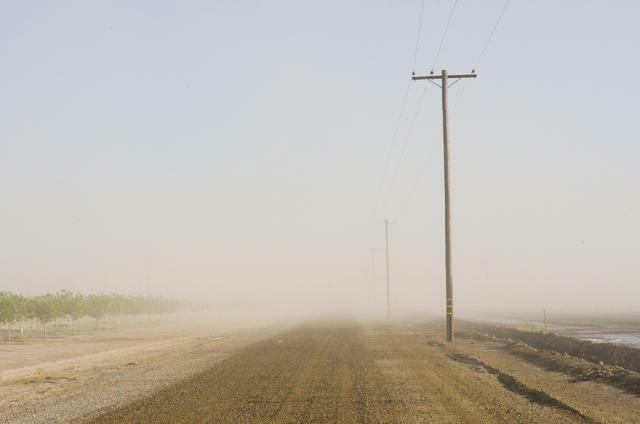 A dusty road in the San Joaquin Valley. People breathe fungal spores when the soil is disturbed. 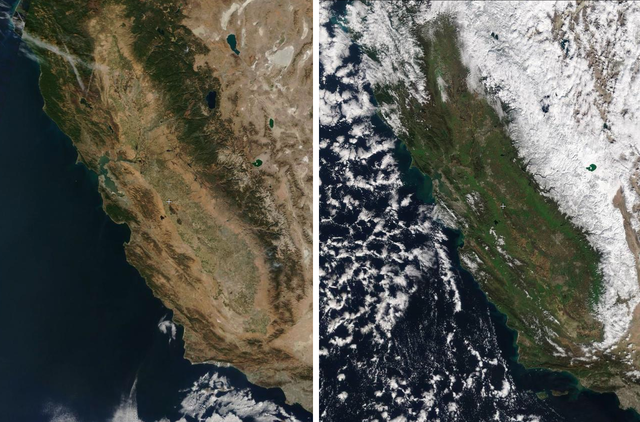 Here's what California looked like from space on Tuesday, right, compared to same time in November. Copious precipitation has filled the state's major reservoirs to above average levels, and enlarged the Sierra snowpack to about 125 percent of normal. And the wet weather isn't over. Another burst of rain and snow is expected to arrive Friday. 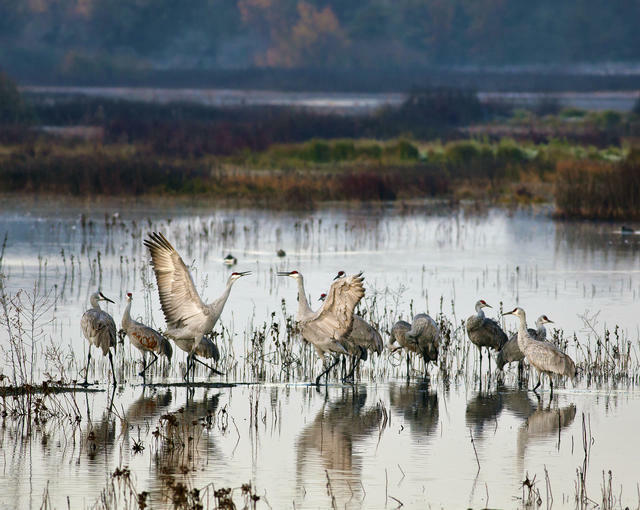 Cosumnes River Preserve, near Sacramento, is one of the few protected wetland habitat areas in the state. If you're lucky, you might catch a glimpse of a sandhill crane mating dance, pictured above. The Bureau of Land Management included the preserve among its winter bucket list destinations. 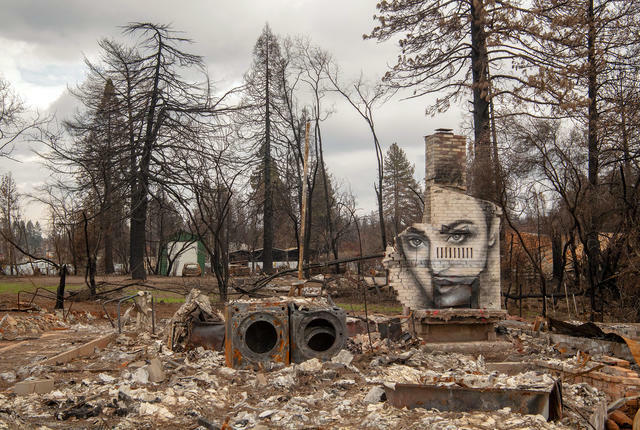 An artist painted a mural on a chimney at a destroyed property in Paradise. Survivors of the wildfire that obliterated Paradise have been told they can no longer camp on their burned-out properties. Hundreds of fire victims desperate for housing have resorted to living in recreational vehicles. Local officials made the decision under pressure from FEMA, which threatened to withhold cleanup funds if people weren't cleared out until the area was deemed safe for habitation. "If there was any other place to go, we would be there," one resident said. Firefighters worked to douse the flames at an intersection in San Francisco on Wednesday. 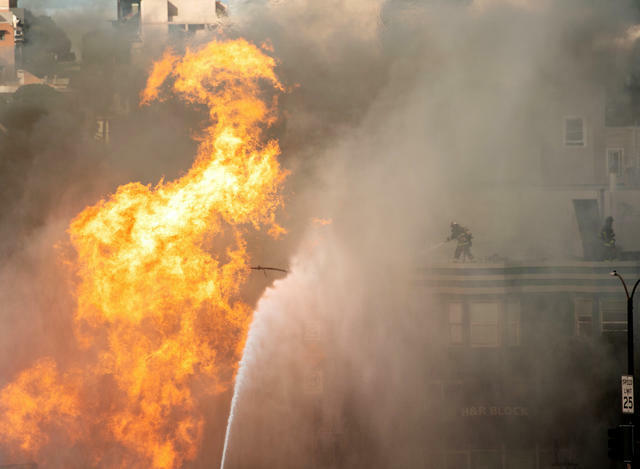 A crew working for Verizon struck a gas line at a busy San Francisco intersection, setting off a spectacular blast that shot flames 40 feet into the air and ignited five nearby buildings. The tower of flames raged for more than two hours as PG&E struggled to get the valve closed. Luckily, no one was injured. In 2016, a Sacramento-area man fatally punched an 85-year-old man because he had parked too close to his car at a gas station. This week, Larry Ray Richey, 21, was convicted in the killing and now faces up to 10 years in prison. He fell to tears as the verdict was read. 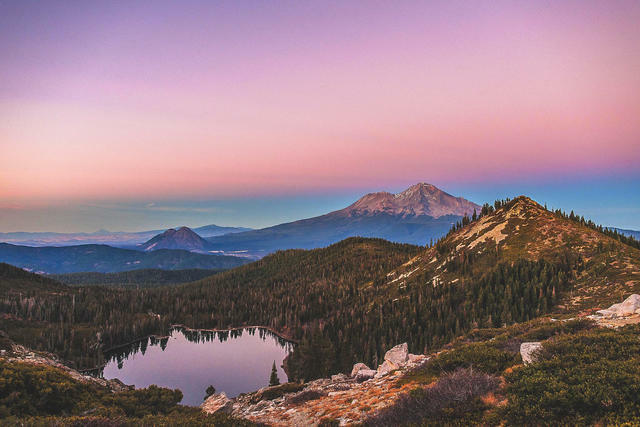 Rising from the state's far north, the Klamath Mountains are relatively pocket-sized compared to the vast Sierra Nevada. But the range's natural wonders, as one travel writer put it, make it "a gem among gems." Scattered among the peaks are dozens of forested cirques — glacially formed depressions — like Castle Lake, pictured above. 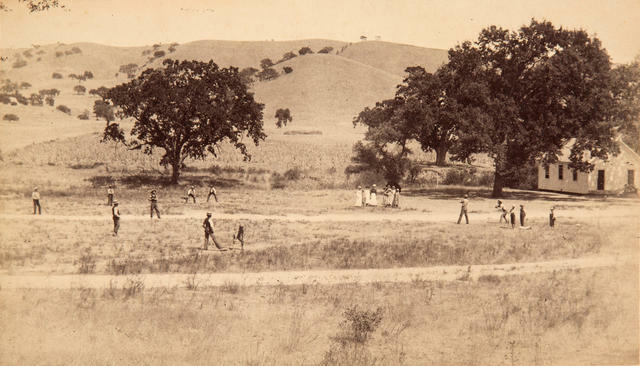 Here's the earliest known picture of baseball being played in California, captured in the 1860s. The history of baseball begins in New York, but it quickly spread west during the Gold Rush with games played as early as 1851. San Francisco's press corps urged the city's young men to take up "this most exhilarating and delightful form of outdoor sports" and clubs were formed in San Francisco, Oakland, and Sacramento. The sport grew fast and drew boisterous crowds. In 1869, the transcontinental railroad was completed and Cincinnati's "Red Stockings" were invited to play a series of games in San Francisco. They accepted, putting California on the national baseball map — even if it was wildly outmatched. The total score after two games: Red Stockings, 93, San Francisco Eagles, 8. In 2015, a man handing out Halloween candy near his grandmother's home in Los Angeles was confronted by an off-duty Los Angeles firefighter who choked him unconscious in an attack captured on video. The victim, Samuel Chang, was hospitalized for weeks with severe head trauma and other injuries. Now he's been awarded a $7.4 million settlement. "When you think of firefighters, you think of heroes," Chang said. "You don’t think of people who violently attack someone." 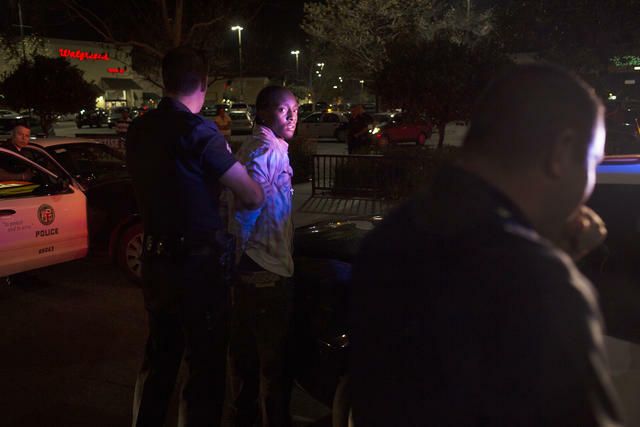 Mayor Eric Garcetti ordered Los Angeles' police force to scale back on vehicle stops after an investigation by the L.A. Times found that an elite unit was stopping black drivers 13 times more often than white drivers. He said he was "deeply concerned." 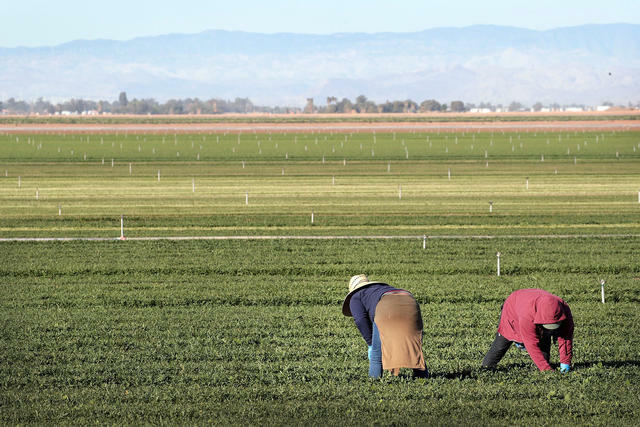 Farm workers pulled weeds near El Centro last month. Residents of quiet agricultural hamlets along the California-Mexico border have watched with curiosity as President Trump has issued dire warnings about a southern frontier seething with danger. "What he's saying on the news is different from what we're seeing here," a resident of El Centro said. The L.A. Times has added its first Asian-American columnist. 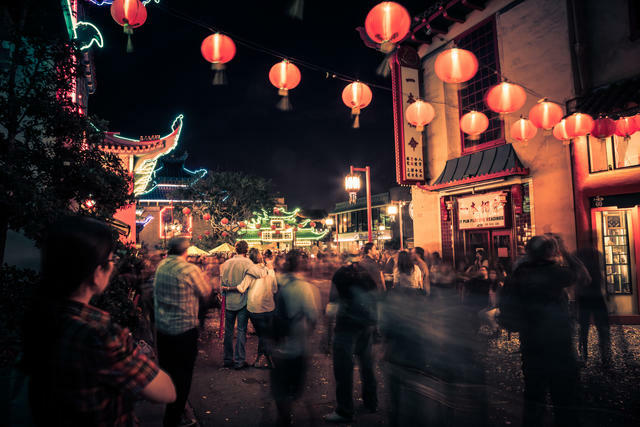 In his debut column, Frank Shyong examined the use of "Chinatown" as a metaphor for cynicism in the classic namesake movie. Like Los Angeles itself, the community is a place defined by its diversity and its diasporas. "If Chinatown is a metaphor for anything," he wrote, "it is America." 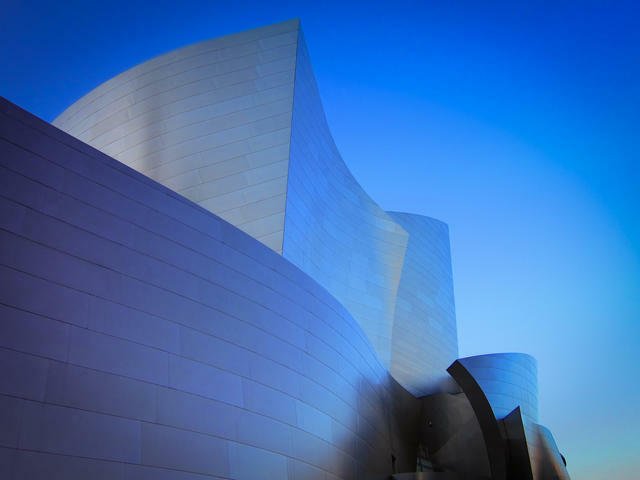 Walt Disney Concert Hall is one of downtown Los Angeles' great treasures. Walt Disney Concert Hall in Los Angeles was designed by Frank Gehry to mimic musical movement. The cool steel exterior contrasts with a warm interior clad in Douglas fir paneling — the same wood used on the back of cellos — that's regarded as among the world's most exquisite acoustic spaces. The hall was included in a ranking of the country's 21 most spectacular theaters. An earlier version of this newsletter likely misidentified the location of a 19th-century baseball game in a photo. While it is believed to have been played in California, the exact location is uncertain. The photographer was based in the San Joaquin Valley town of Pixley.